Across Arizona Tours wants to take you to unforgettable attractions on our sightseeing trip through the past, present, and future of Phoenix, Arizona. Phoenix is the 5th largest city in the United States and has used a $4 billion dollar development fund to construct a light-rail system, a downtown medical school, a renovated civic center, as well as fund historical preservation projects. Our tours will allow you to experience the unique, lush Sonora Desert. This is the only area on Earth where this type of desert exists. Tours in the spring will surprise guests as the desert comes alive with numerous wild flowers. 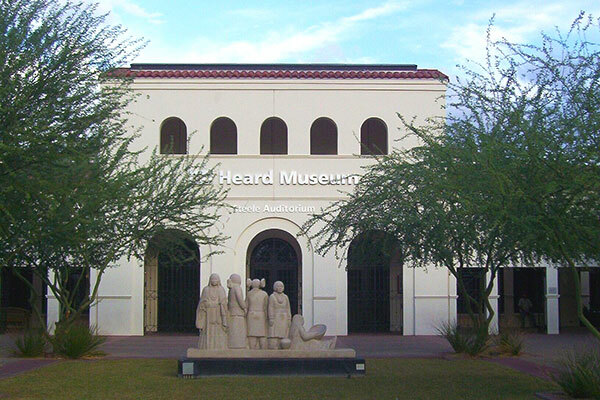 This amazing tour departs from many hotels in Phoenix, Scottsdale, Tempe and Mesa. Departs between 11:30 am and 12:30 pm every Sunday, and 8:30 am to 9:30 am every Wednesday and Friday.